By day, the majority of The Lawyers hockey team members are fierce while immersing themselves in a case in court. It’s a win-at-all-cost mentality. 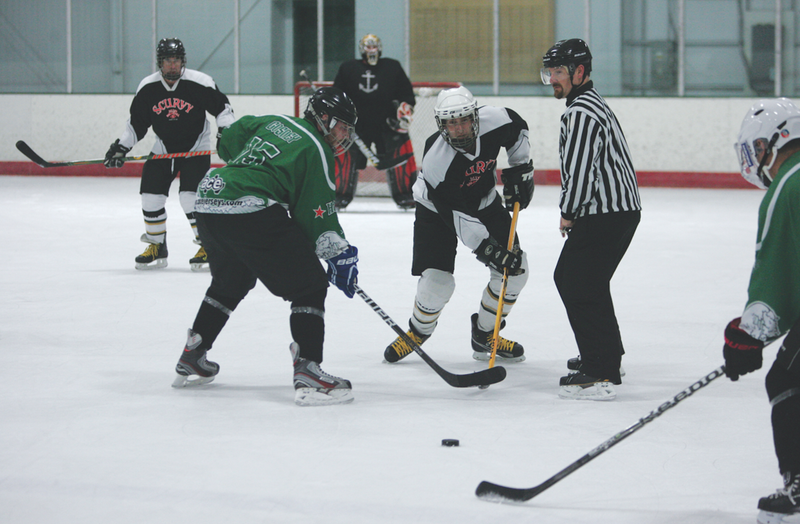 When the guys hit the ice once a week for their adult league game, their level of competitiveness is still high. However, winning isn’t the most important thing. The guys know after their night of skating is over on a Thursday at the MB Ice Arena, they have to head to their day jobs in the morning in the Chicago area. The team, which Demitro founded in the early 1990s, is comprised of all lawyers in different capacities along with two television news anchors. Demitro calls it the most interesting hockey team in the world. The Lawyers — which play in the Masters Hockey League and have won the playoff championship eight times since 2001 — is a close-knit group that rarely has players leave the team. Once they are on the team, they’re on it for life. There’s been a core group of about 10 guys who have skated together for The Lawyers for a quarter century. The guys enjoy spending time together on the ice but also away from it. Not seeing each other for a week between league night creates some enthralling chatter before games. The team has been known to be a couple minutes tardy for the opening faceoff because they are so engrossed in conversation. The average age of the players on The Lawyers is in the 50s. The guys still love the sport and what it provides for them in their hectic lifestyles. “Hockey provides the opportunity to continue to play long into adulthood, and more importantly, to be able to meet and play with remarkable people on and off the ice,” said lawyer David Vander Ploeg. “The Lawyers team embodies this. Now my hope is that my kids are fortunate enough to play with as great of a group of guys like the Lawyers."